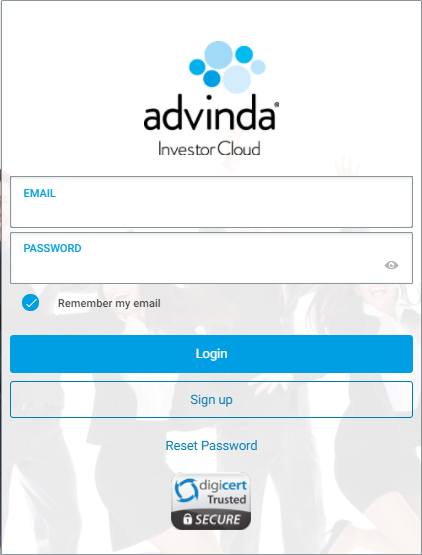 In order to join advinda Investor Cloud you need to register. Please note that advinda is a product strictly for business customers. To register go to investor-cloud.advinda.com, click “Sign-up” and complete your information. 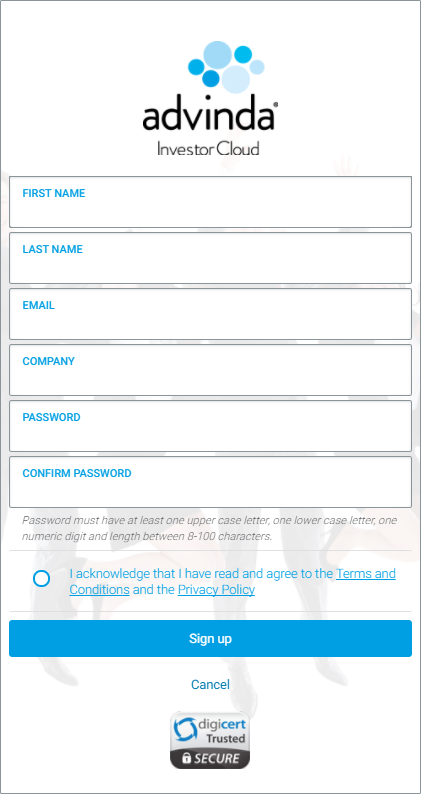 Please be aware that only “Latin characters” are allowed as input for the fields First Name, Last Name and Company. You need to provide a valid email address, to which we will send a confirmation email. 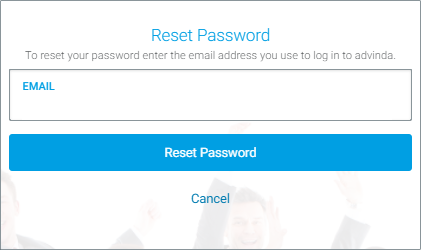 Please create a password with at least 8 characters including one upper case letter, one lower case letter and one number. We recommend that you bookmark the login page and always use that bookmarked URL for logging in to keep your login information secure. Check that a valid security certificate is displayed on the login page and that the URL bar is highlighted in green. If you receive an email that seems to come from the advinda system that you did not expect, do not hesitate to contact support@advinda.com or give us a call with any questions. The advinda team will never ask for your password information neither by phone nor by email. Keep your password information secure and do not share it with anybody else. To use the mobile apps, sign up on the web browser first and create your account online. Then proceed to the App Store or Google Play Store to download our mobile app. You can use your log-in from the web account also with the mobile apps.